Here is what she wrote to me in an email when I asked her about the history behind her delicious pumpkin bread. 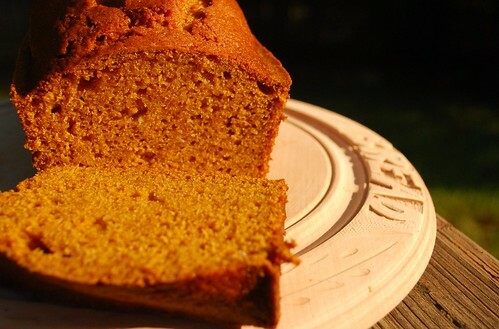 Yes it is definitely time for pumpkin bread! This is the recipe from the mother (Rose) of a very good friend of Nanny’s. Nanny would make this and send it to me when I was in college back in the sixties. 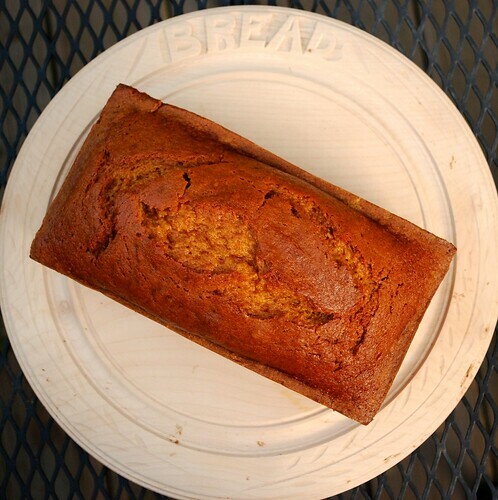 I think it is the only pumpkin bread recipe I’ve ever seen that does not include cinnamon. 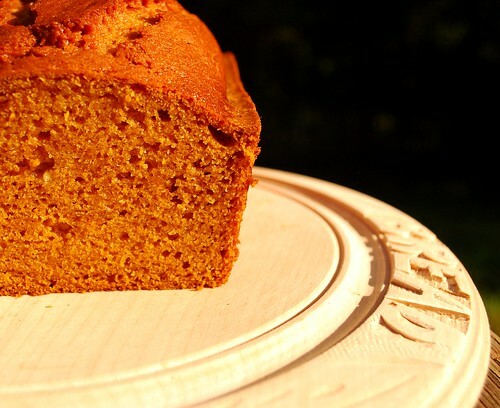 Although cinnamon makes for a great pumpkin experience, leaving it out seems to allow the pumpkin to shine. Preheat your oven to 350 degrees and grease 2 large loaf pans (9″ by 5″) and set aside. In a large mixing bowl, mix all ingredients together and beat for 2 minutes with electric mixer until smooth. Divide into the loaf pans. Each pan will be about 2/3 full. Bake for 50-60 minutes. Make sure center is done – a toothpick inserted into the center should come out clean. Note: This bread freezes very well. Note: For muffins, bake at 350 degrees for 20 minutes. Note: We have added chocolate chips to this recipe, and it was delicious!